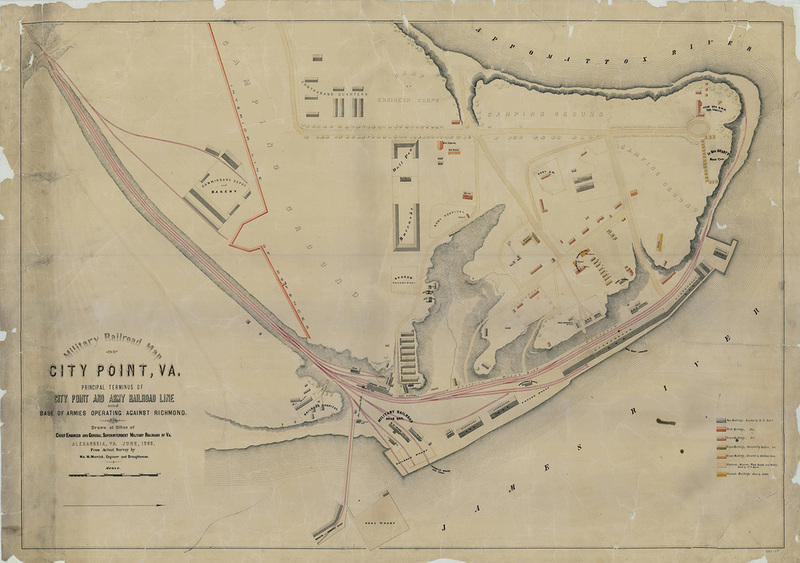 "Military Railroad Map of City Point, Va. Principal Terminus of the City Point and Army Railroad Line and Base of Armies operating against Richmond." (June 1865) National Archives RG77 Rds 197. Digital copy is available from NARA.